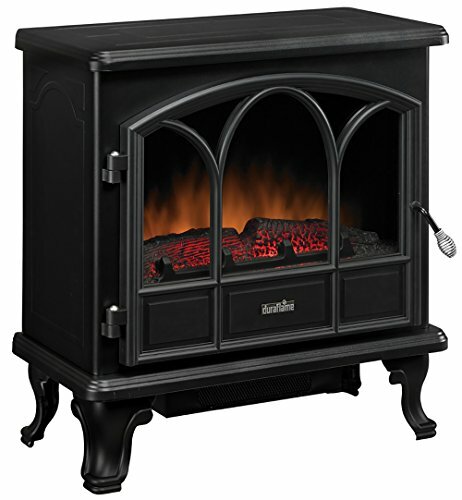 Thanks For Checking Out Our Duraflame Portable Infrared Quartz Electric Fireplace Stove DFI-5010-01 Review. 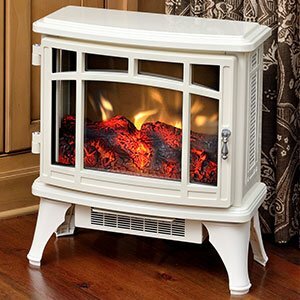 I really became a big fan of the Duraflame Infrared Quartz Fireplace Stove after doing the in depth research and seeing how much buyers really love it. It is also one of Amazon Best Sellers. This fireplace is tremendous value, for money spent. We have seen these features, but they are usually on units the cost $100-$400 more than this. This is an infrared heater, provide supplemental heat up to 1000 ft.² (versus 400 ft.² of conventional heaters). The flame effects are exceptional, and can be viewed from three sides which is a very unusual feature and benefit. It has a door that opens, beveled glass viewing windows and durable metal body construction. This baby is put together well. It has a somewhat unique craftsman design flair to it. Is available in six colors which will match almost any decor. The remote control is full function. For the price: This is one of the vest values in an electric fireplace stove. It is ABSOLUTELY worth the money. Need more info? That’s what we’re here for. Our mission is to have you fully up to speed so you can make an informed buying decision. Keep reading for full details. It is available in six designer colors: black, bronze, cinnamon, cream, French grey, and pistachio. The look of the fireplace is a little more craftsman rather than country. This makes it able to fit into many more room design themes. Selling Point: Buyers rave about the realism and beauty of the flame effects. Due to glass sides you can see them on three sides. Dura Flame offers patent pending three-dimensional flame effects. This offers a very realistic flame effect with glowing log, ember bed and flames. The flame effects are adjustable in terms of brightness with five different settings. The flame effects can be switched on without the heater having to be turned on as well, so they can be used all year around. They are going for a realistic flame effect, so there are no fancy colors or sidelight effects. There are no bulbs. It is an LED lighting assembly that should not be needed to replaced even after thousands of hours of use. The logs that form the bed of the fireplace are extremely realistic looking. This, combined with the realistic flame effects produces a warm cozy atmosphere. The beveled edge glass door opens and closes. It never gets hot so it is safe for kids and pets. 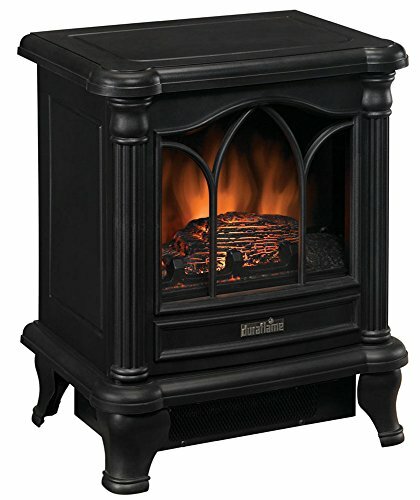 The heating system on this electric fireplace stove is quartz infrared technology. 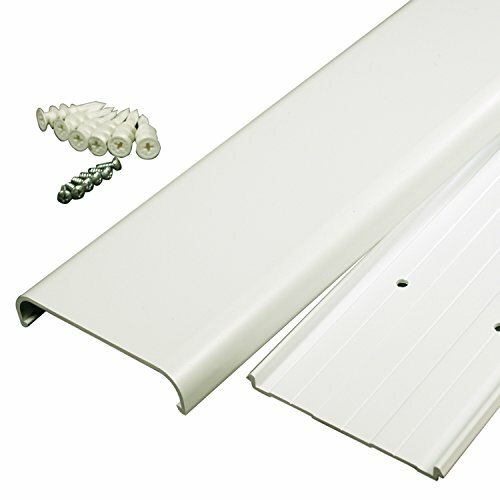 It is reported by the manufacturer to provide “supplemental heat up to 1000 ft.²”. 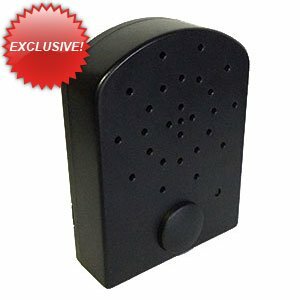 This is a huge increase over the 400 ft.² heating capability of non-infrared electric fireplaces. Naturally, your results will vary with the size of your room and the layout – whether it is open concept or a single room. The heater discharge is located on the front top of the unit. This will get warm, but not hot enough to come close to burning you. The top remains cool. There is a fan built-in that help circulate the heat. There are no other emissions are gases. The infrared heat helps to maintain the natural humidity within the air, resulting in moist, comfortable heat without drying out the room’s air. The heater works great, you can set a temp on the thermostat and it cycles the heat and fan on and off as necessary. The fireplace can be operated with flame effects alone, without the heater. But the reverse is not true you cannot operate the heater without the flame effects (this is true on all electric fireplaces). 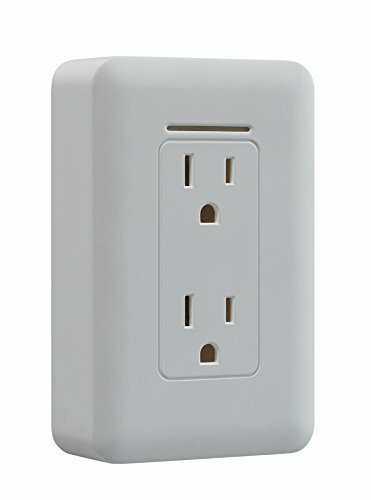 It is designed to to be plug-and-play on any regular household circuit. It does not need special wiring or installation. Key functions of the fireplace can be controlled through the use of the infrared, remote control which is supplied with the unit. The batteries are included for the remote, also – Yeah! the remote control unit controls for key functions the power on/off, the temperature, the flame setting, and the timer. As noted previously there are five different flame heights. The temperature on the thermostat can be set from 62°F to 82°F to degree increments, but it me must be set to the main control panel on the unit. The main controls are located behind the the glass door that swings open in the lower right corner. Some buyers complained that they had to bend over to reach the controls and they were hard to read because they were not back-lit. The good news is because of the placement the LED control lights of the controls are covered by the door frame and not visible from the room. seeing those lightswould be kind of distracting. We have completed full, comprehensive reviews on these electric fireplace stoves that are similar in function to the Dura Flame. They have different styling cues and may or may not use infrared heat. Click on the text link for the full review. Click on the image for discounted price comparisons. This Duraflame electric stove is not only one of Amazon’s top sellers, but with good reason. Buyers are very satisfied with the value received for their money. This is evidenced by the fact that the average rating was 4.6 stars, which is extremely high. Buyers were very impressed by the flame effect 3-D realism and often said it was the best they’ve ever seen. We especially liked the attractive glass doors and sides that allowed viewing the flames size. Senate flush against the wall and it is visible from anywhere in the room. Infrared heat is a definite plus compared to conventional electric fireplaces. Also, the front top discharge of the heat is definitely an advantage. Lastly, we have reviewed many electric fireplace stoves and this one seems to hit the balance point between price charged and value given. There are units out there where you can get the same features but they will cost 50% to 150% more than this.